Sockey salmon. Photo courtesy of NOAA. 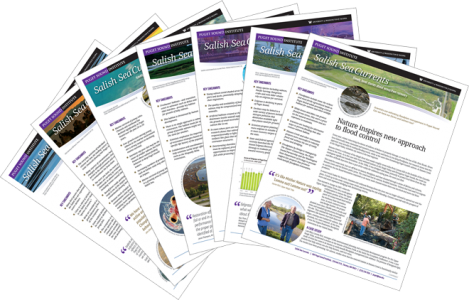 A 2014 report from the Puget Sound Institute describes a study of socio-cultural values associated with blueback salmon in the Quinault Indian Nation. 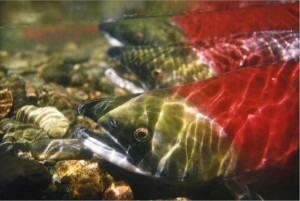 The blueback salmon (Oncorhynchus nerka) is a unique strain of sockeye that returns primarily to the Quinault river system. The report was prepared by Kelly Biedenweg and Sophia Amberson of the University of Washington and Justine James of the Quinault Indian Nation.